FARMERS who gathered at a recent beef cattle sale in Downpatrick described Brexit as the biggest peacetime emergency in almost a century. Almost to a man, the farmers at the Downpatrick Co-operative mart were vehemently opposed to leaving the European Union without a deal put in place. Michael Rice, from Burrenbridge, near Castlewellan, explained why farmers are worried. He said: “The likes of Brazil and Argentina can produce beef a lot cheaper than we can because their regulations are more relaxed than ours. “They put absolutely no emphasis on traceability whereas we couldn’t sell our cattle without a record of where they came from, what farm they were reared on and so on. “Northern Irish beef can be traced all the way from the farm to the dinner plate. We have more quality control on our beef and that is what makes it high grade. This leaves us in a very difficult position because we cannot produce our beef for any less than we already do. “If Prime Minister Teresa May were to step in and take over the subsidies, the outlook looks favourable in the short term. Describing Brexit as the “biggest peacetime emergency in almost a century”, Ballynahinch farmer Barry Higgins said the uncertainty of the situation did not do farmers any favours. “We feel it’s more of a back lash than a back stop,” he remarked, adding that he hoped no farmers would be forced out of business. Dessie Canavan, from Kilcoo, said farmers were being “dragged into Brexit” against their will. 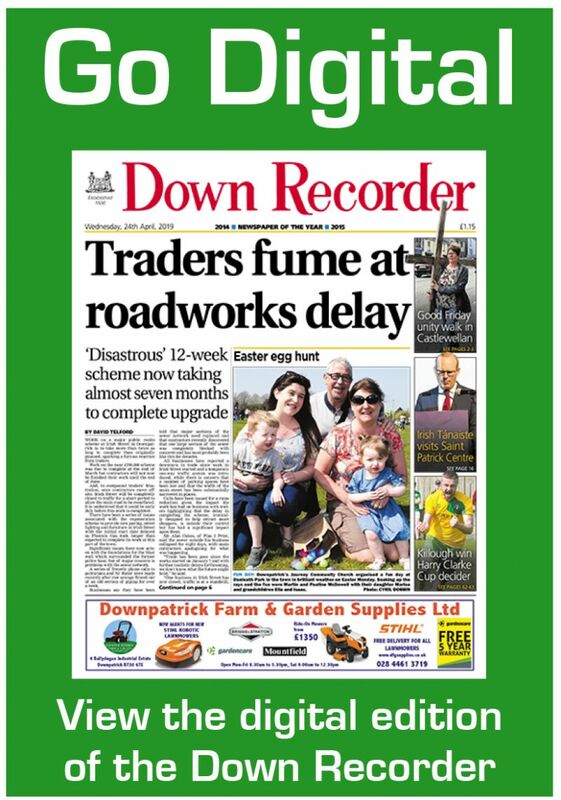 A spokesman for Downpatrick Co Operative Marketing Ltd said its role was to respect the views of all its shareholders and customers, who are farmers. He added: “Our business relies solely on the trading of livestock both locally and outside Northern Ireland and we are therefore concerned about the impact Brexit will have on our daily business and the local faming community we serve. “As part of a democratic society we respect the people’s vote to leave the EU, but we are also aware the majority of people in Northern Ireland voted to remain. “We now have a situation with two main options — either crash out or negotiate a deal to leave. Our main fear with the crash out option is that it exposes us all to a greater risk of casualties rather than survivors. The Ulster Farmers’ Union is also concerned at the prospect of a ‘no deal’ Brexit UFU president Ivor Ferguson added: “We respect the referendum result and that the UK will leave the EU. However, the uncertainty is very damaging. “With March 29 less than 60 days away decisions need to be taken urgently and a deal agreed. Leaving the EU without a deal would be catastrophic for Northern Ireland’s farming families and their businesses. “No deal means high tariffs on our exports creating an effective trade embargo and the possibility of lower standard imports flooding the UK market.